Very few loudspeakers can claim the ultimate in transparency, without sacrificing bandwidth, depth or refinement. Dynaudio's Confidence C1 Platinum can proudly lay claim to this crown. Making use of Dynaudio's truely remarkable Esotar2 tweeter inside a unique two way design, alongside Dynaudio's equally remarkable bass driver, the Confidence C1 have long been the Audiophiles favorite compact loudspeaker. "ONE OF THE FINEST COMPACT SPEAKERS EVER PRODUCED..."
The Platinum version moves to a far more refined finish, alongside an improved crossover network, to ensure the very best performance from exceptional drive units. The Confidence C1 Platinum delivers a level of musical performance and refinement that is unequalled by any other loudspeaker in its class. The distinctive slim cabinet incorporates the advanced Esotar2 tweeter, a high performance mid/bass driver with an aluminium voice coil and Kapton former, mated to a highest-quality 1st order crossover. 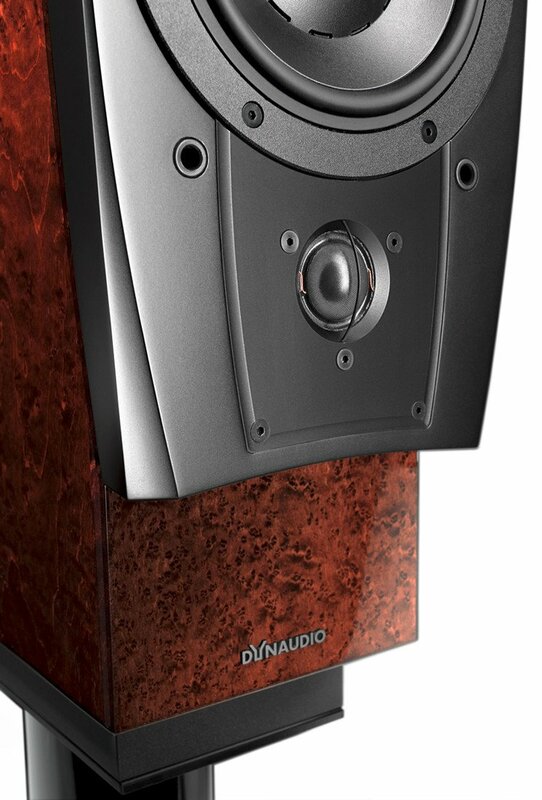 Dynaudio has a long tradition with excellent high-end compact monitors. The legendary Contour 1.3 SE, the Crafft, and the Confidence 3 were each milestones in their field and became real classics. The Confidence C1 Platinum continues this tradition. The Esotar2 with Precision Coating, Neodymium double magnet and absorbing rear chamber provides the perfect platform for the higher frequencies, while the woofer with its MSP cone, light aluminium wire voice coil and Kapton former is also one of Dynaudio’s best. The 1st order cross-over filter consists of select components and follows a special design achieving a sound radiation slightly directed upwards. The C1 has excellent imaging and staging, while sound reflections from the floor will be considerably less than with conventional monitor designs. 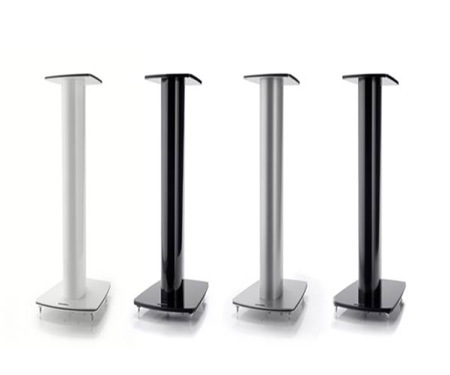 The C1 can be combined with the Stand 6 (not included) for a synergy of performance and design elegance. 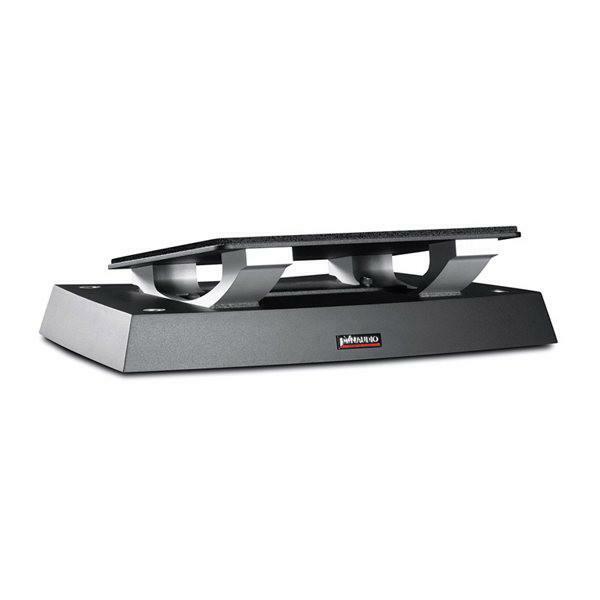 The Stand 6 is made from aluminium and features a multi-layer plinth to provide the best possible foundation for a compact speaker. 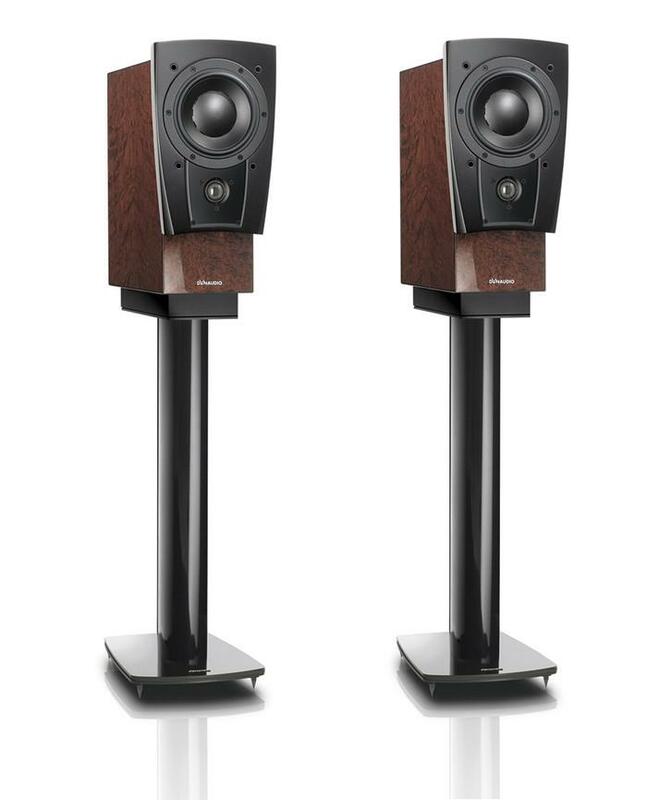 The Confidence C1 allows the same smooth tonal balance, reproduction of the finest details and the homogeneity of the larger Confidence models from a fascinating compact monitor loudspeaker design. 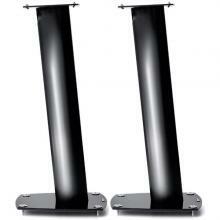 The C1 can be mounted directly onto the Dynaudio Stand6 for a synergy of performance and design. Every Confidence model incorporates Dynaudio's best tweeter, the renowned Esotar². In its current version, the 28mm fabric soft is further perfected with Dynaudio’s Precision Coating, which served to improve the exceptionally smooth response and the authentic reproduction of finest musical details. The Confidence woofers feature ultra-light, thermally stable aluminium coils wound on special Kapton formers. Kapton is a high-tech synthetic material which remains extremely light while being extraordinarily heat resistant and stiff. The advanced voice coil construction combined with the Magnesium Silicate Polymer diaphragm and the extra-rigid die-cast aluminium basket combine for a most precise and dynamic bass performance. 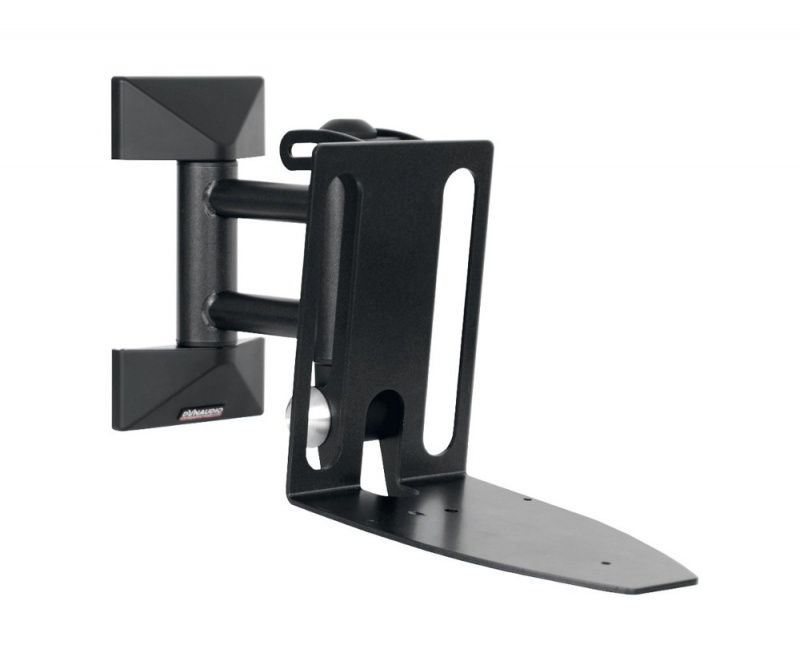 The drive units are mounted onto a distinctive sound-optimized baffle. The shape has been designed to reduce unwanted early reflections at the corners, while the baffle itself is further decoupled from the cabinet with a low-resonance medium-density fibre-board between baffle and cabinet. The tweeters are mounted onto a solid aluminium block, itself embedded into the baffle, to achieve the most rigid, low-resonance foundation. 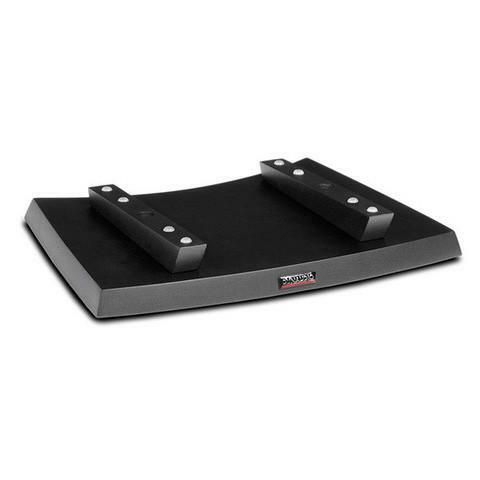 These combined efforts ensure perfect sound radiation as well as a dynamic and powerful sound even at higher volumes. The crossover in the Confidence Platinum features the latest ceramic resistors, air core coils and high-quality capacitors along with the new thin film resistors and new internal wiring incorporated into the Signature/II update. The result is an even better, more authentic reproduction of musical details, especially with delicate sounds from strings, piano and singing voices. Dimensions (W x H x D) 200 x 445 x 430 mm 7.9 x 17.5 x 16.9"